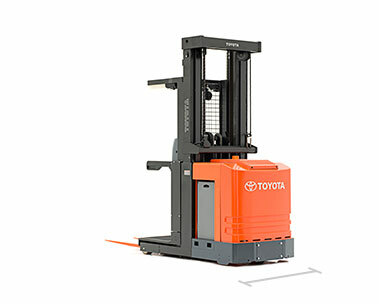 The Toyota Order Picker solves even the most challenging high-reaching needs. 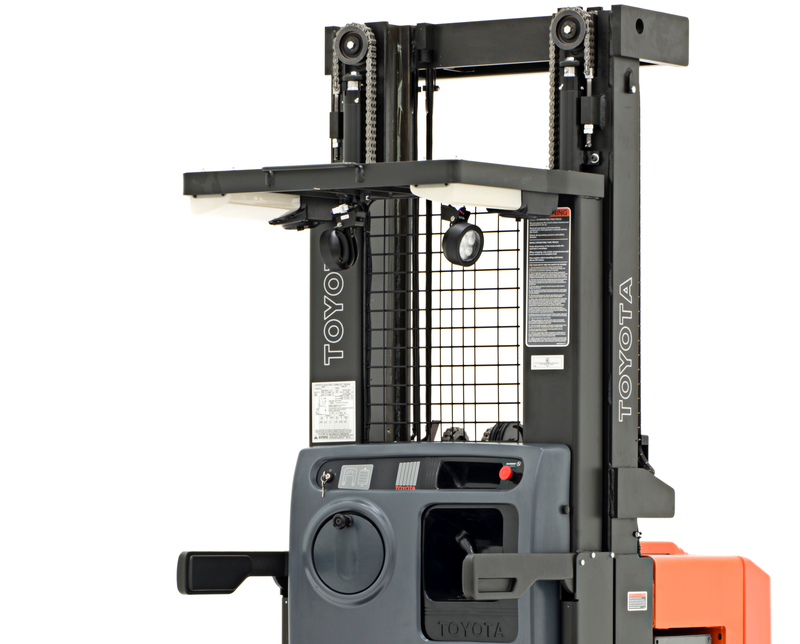 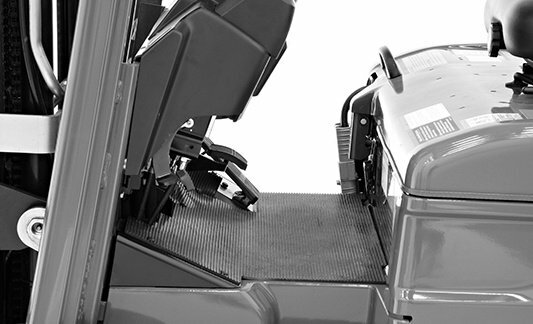 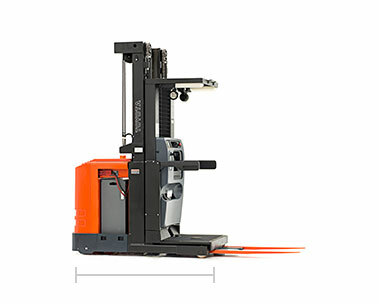 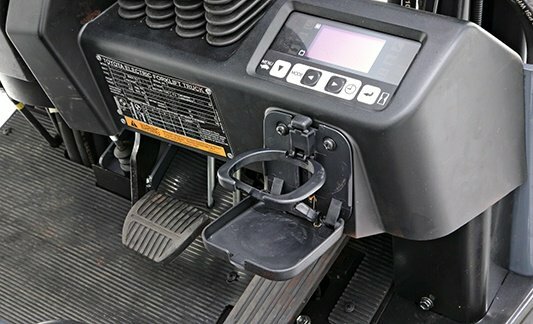 With lift heights up to 390 inches and cushioned mast staging, it helps operators comfortably reach your tallest racks. 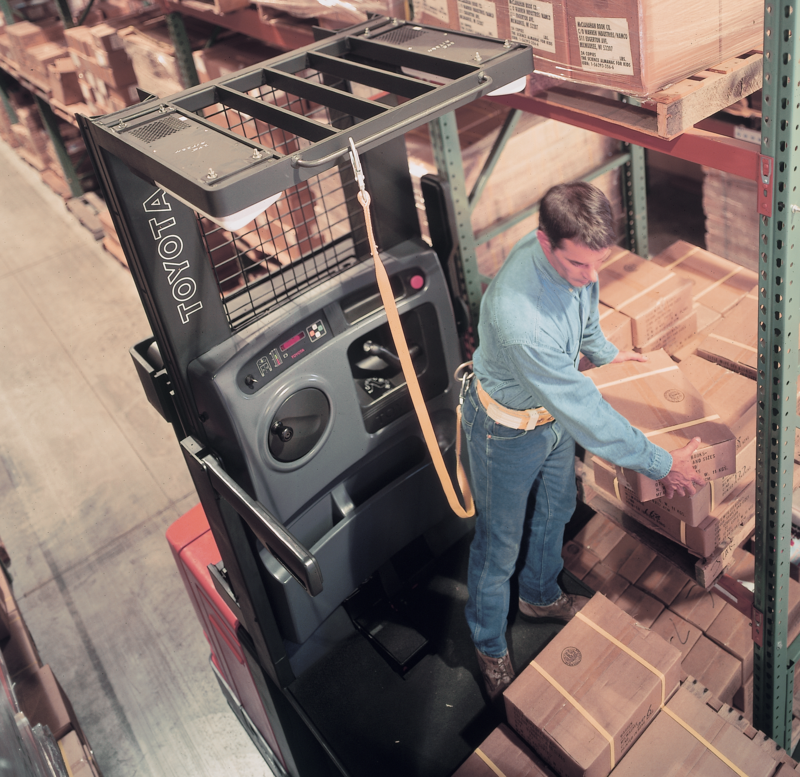 The Toyota Order Picker easily maneuvers in narrow aisles with minimized rack impact thanks to optional wire guidance and double rail guidance systems. 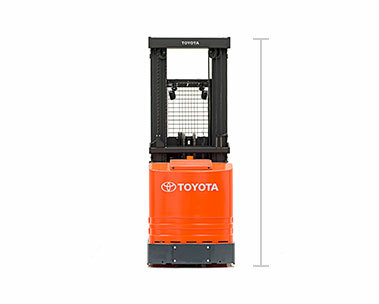 Here’s the skinny: this truck works in the narrowest aisles of any Toyota truck, and is designed to pick specific pieces from warehouse racks. 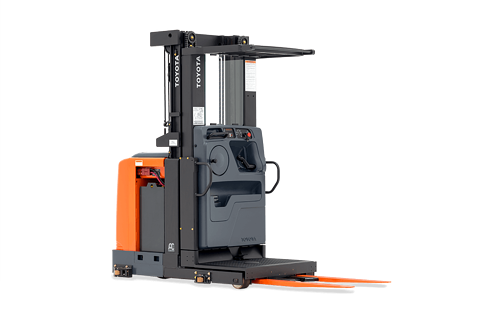 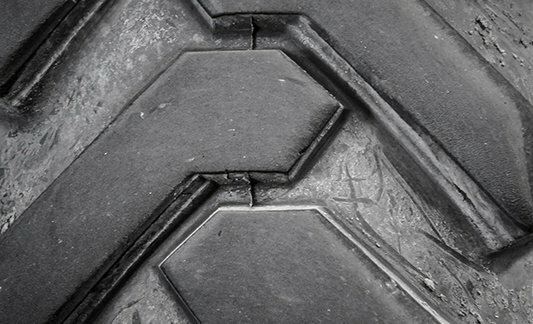 You’ll also enjoy Lift Logic technology that continuously monitors lift height, allowing for optimized travel speed at various lift heights while still maintaining safe operation.